Do you want to remove particles, layer forming contamination and/or microorganisms? Our 100% polyester microfibre cleanroom mops removes contamination from your cleanroom floors, walls and ceilings. 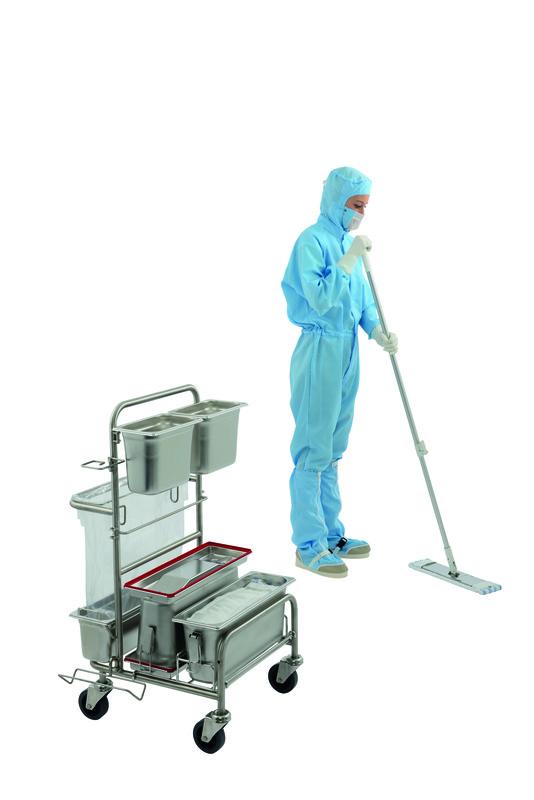 Our specialist microfibre mop designs allow you to clean your cleanroom from top to bottom including small spaces. Using our validated washing, decontamination and sterilisation processes, combined with Barcode or RFID traceability we can guarantee the results. Our reusable quality assured solution will even reduce your ecological footprint. Are your cleaning personnel still touching your mops with cleanroom gloves? Our cleaning systems are specially developed to comply with your ISO & GMP requirements and ensure an ergonomic, reproducible and touch-free way of working. Secure your cleaning process with smart cleaning solutions.